The history of Islands of Adventure is a fascinating one. Originally the park was known as Cartoon World and would feature characters from DC Comics and Warner Brothers. While I have done extensive research on the subject, I have never actually seen the concept art for this section of the proposed park until now. 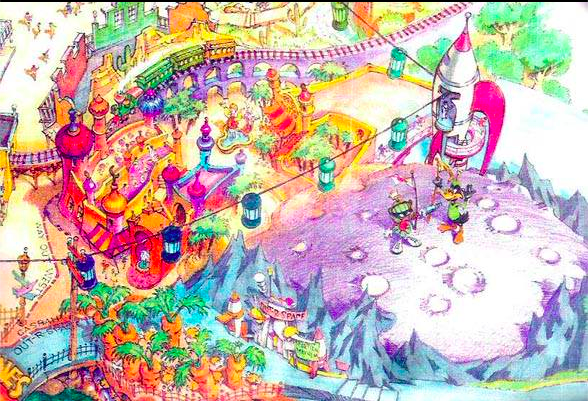 Thanks to a Theme Park University reader, I have gotten a glimpse of what a Looney Tunes section of Universal Florida’s second gate might have looked like. To an outdoor roller coaster featuring the Roadrunner and Wile E Coyote. I am still trying to piece together what other characters might have been used here. Any idea what the dark ride in the lower left might have been themed to? How about the flat rides just about it? Let me know in the comments section or on our Facebook Page or on Twitter! This entry was posted in Universal and tagged cartoon world, Islands of Adventure, Looney Tunes. Bookmark the permalink. Trackbacks are closed, but you can post a comment. I’m a bit surprised by this. Six Flags has the rights to Looney Tunes characters and has had them since the early 1990s and maybe even before that. 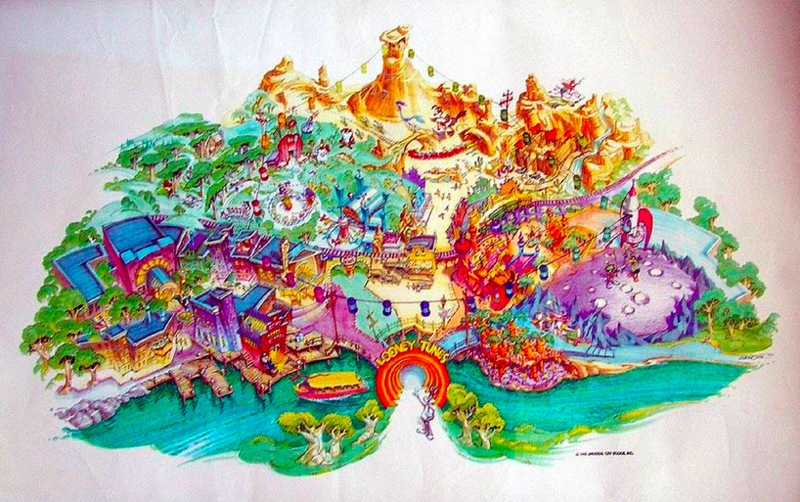 How would Universal/Islands of Adventure been able to create a land with Looney Tunes characters, unless they bought Six Flags out, I suppose?